 Fat transfer has been used in dermatologic surgery since 1986. The technique is now standard and improves facial aging changes, specifically central cheek depressions, squint lines and the fold between the nose and the lips. In addition, fat transfer can be used to achieve cosmetic lip augmentation, as well as correction of selected scars and facial hemiatrophy. Fat may also be used to rejuvenate the top of the hands by thickening thin skin that shows bulging and tendons. There is no allergy or reaction to the fat since it belongs to the person from which it was removed. The entire procedure is performed as an outpatient and requires 45-60 minutes. Only local anesthesia is utilized, and the patient may drive home as usual.  This procedure does not take the place of other dermal fillers (collagen, Restylane, etc.) or chemical peeling in the removal of fine wrinkles. Fat transplantation is more effective in the softening of folds, furrows, and deeper creases – it works in conjunction with dermal fillers and peeling. Fat transplantation can also be used in conjunction with liposuction.